Lt Gen PK Bharali, VSM is an alumnus of Sainik School Goalpara, Assam and the National Defence Academy. He was commissioned into the Regiment of Artillery in 1977 and earned the coveted wings in 1982. He has the reputation of being an extremely hard working officer from a nascent stage in his career having bagged the coveted Silver Gun, Commando Dagger and the Silver Cheetah trophies and also has the distinction of attending the prestigious Defence Services Staff Course at DSSC, Wellington, the Senior Command and Higher Command courses at Army War College in Mhow. A QFI and an active aviator with extensive flying experience in varied types of terrain, the General Officer has the honour of having commanded an Independent Army Avn Flight in the Cockrel Division, a Field Artillery Regiment in Central India and an operational Army Avn Squadron in the East. He has held important staff and instructional appointments including GSO-1 (Ops) of a Counter Insurgency Force HQ, Col Adm of a Mountain Division in Jammu and Kashmir, Director MGO (Avn) at IHQ of MoD (Army) and Brig Avn of the prestigious Northern Command. He has been awarded VCOAS and GOC-in-C Northern Comd Commendation cards and Vishisht Seva Medal by the President of India for his distinguished and meritorious service to the Nation. 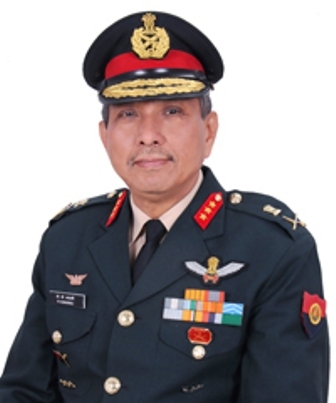 He has held the appointment of Additional Director General of Army Avn from Jul 2009 to Nov 2014 and is presently posted as Director General of Army Avn with effect from 19 Jan 2015. During this period he has transformed Army Avn Corps into a vibrant component of the combined arms team. He has also been responsible for the paradigm shift in employment philosophy and formulation of doctrines of Army Aviation that have transformed the arm into a true centerpiece for manoeuvre in the third dimension. Lt Gen PK Bharali, VSM has taken over as 11th Col Comdt of Army Aviation on 01 Oct 2015 and become the first offr to tenet the dual appointment of Director General and Col Comdt of Army Avn.